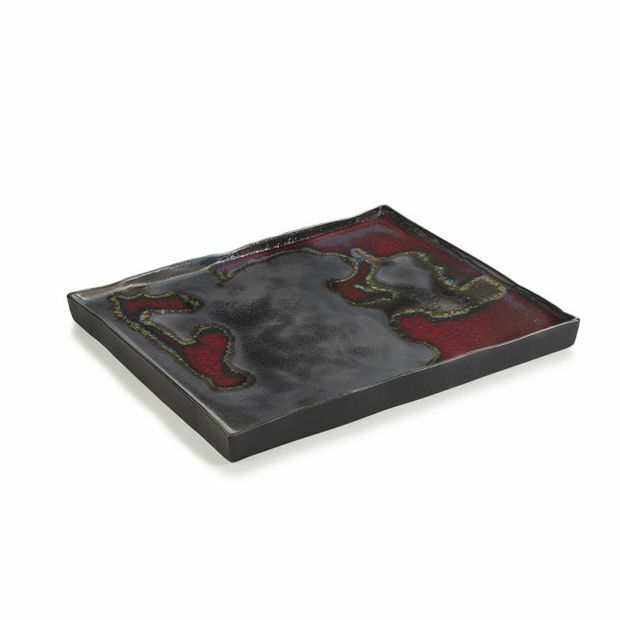 This finish of dark black with red touches is called Solar Storm, from Solstice collection. Every plate is uniquely finished by hand but made for an everyday use. Solstice collection includes 2 shapes of serving plates and 3 shapes of bowls. Inspired by the beauty of a dark start and star dust, every piece is finished by hand. Available in 5 different finishes, this gourmet plates are 8.25 x 7 and they are made of black porcelain all the way through. 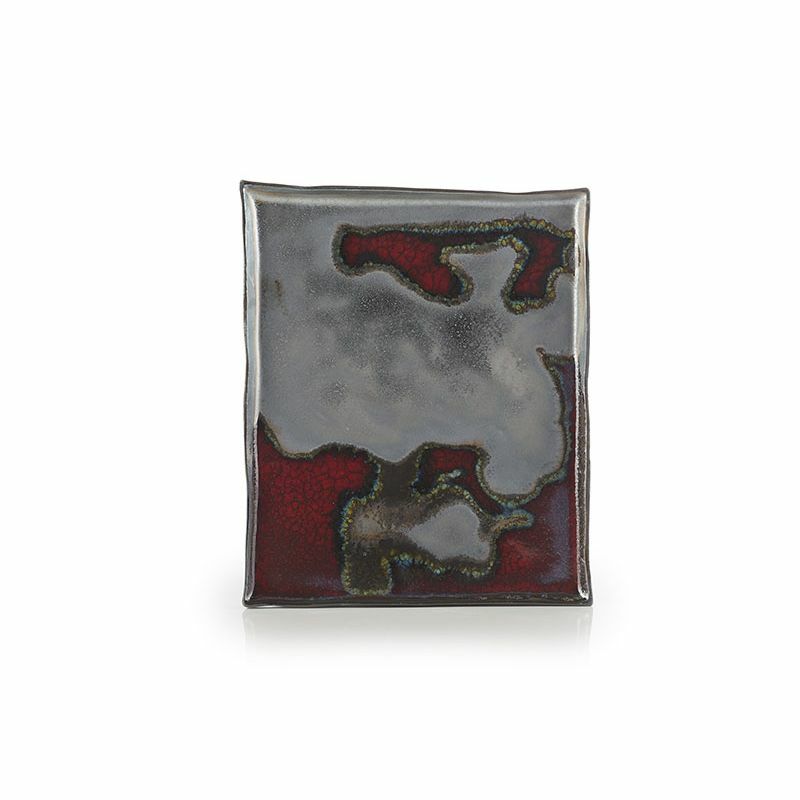 With it's asian inspirations, this plate is perfect as an accent piece. Oven and dishwasher safe. Freezer and dishwasher safe.